We have a dedicated team of coaches and committee members that give up valuable time to run and support the club. We are always on the lookout for volunteers to help with various aspects of running the club. If you have children in the club and would like to help, please contact us. If you arrange to help regularly in any role please email our volunteer administrator on volunteeradmin@hertfordsc.co.uk to inform them of your new role & to request a Club Swim England (ASA) registration form if you need one. 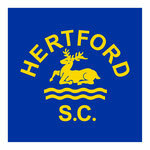 [If you are already registered with Hertford SC for another role or for swimming you will not need to register again. If in doubt ask the volunteer administrator]. Autumn has seen the retirement of several of our teachers. We rely on volunteers (usually parents) to train as teachers and support us on Poolside. Could you be a Swimming Teacher? Funding is available to help with the cost of training and once qualified, there is plenty of opportunity to use your newly-gained qualification and earn a bit of pocket money outside the club. For more information speak to Manuela Teti orLee Ransome or. Download ‘Information for Prospective Swimming Teachers and Coaches’. We also need qualified Officials to act as Timekeepers, Judges, Starters and even Referees. There are plenty of training courses available. We can not take part in Galas unless we can supply Officials. If you are interested please speak to Diana Metz. Please think about how you can help your club. Without the practical support of parents we can not survive.